We offer career support to alumni from the ﬁve schools we serve. Work with a career counselor on your career planning process to identify resources and access guidance to help you navigate your individual career journey. Schedule a 30-minute appointment on LionSHARE to meet with an alumni career counselor by phone, virtually, or in-person. Visit our Alumni Resources page to see resources specifically curated to help you. Columbia Career Connections group or the Columbia University LinkedIn page where you can search and connect with other alumni from a variety of industries. Explore alumni resources offered through the Columbia Alumni Association and your school’s alumni association. Find an alumni club or search for events near you. Visit our Connect with Alumni page for information on opportunities to build your network through CCE! Stay connected to Columbia as an Alumni Volunteer. Students greatly appreciate the opportunity to work closely with the University’s exceptional alumni. As an experienced career professional, you can provide students with invaluable insights into industries and organizations, job search skills, and experiences in the world of work. Please consider getting involved! Our volunteer opportunities and additional information can be seen on our Alumni Volunteer Opportunities page. 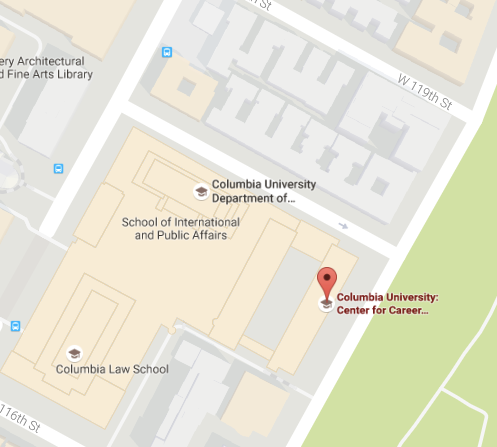 If you have any questions about our career services for alumni or volunteer programs please send an email to cce-alumni@columbia.edu. Career counseling appointments may be scheduled through LionSHARE.